Therapy plays an important role when recovering from an injury, an orthopedic procedure or an illness. 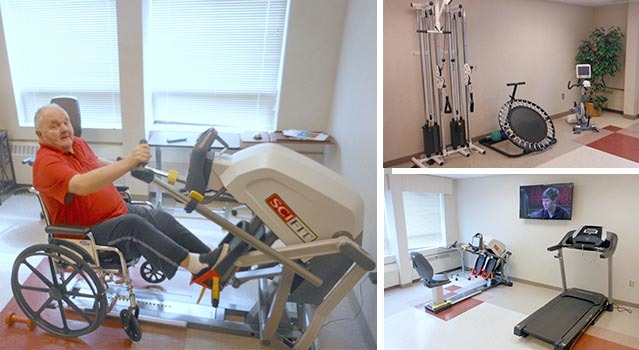 At Ashtabula County Nursing and Rehabilitation Center, we provide comprehensive rehabilitation services including Physical Therapy, Occupational Therapy and Speech Therapy on both an inpatient and outpatient basis. An entire wing of the building is dedicated to therapy and rehabilitation. 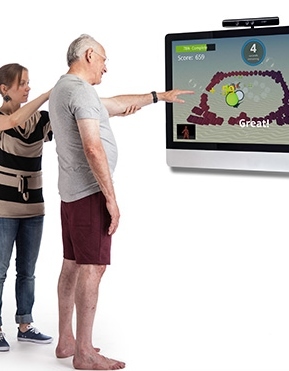 Our therapists utilize cutting edge rehabilitation equipment and technology to enhance the recovery process. Rehabilitative programs are designed by an interdisciplinary team to help patients recover and return home in the shortest possible period of time. 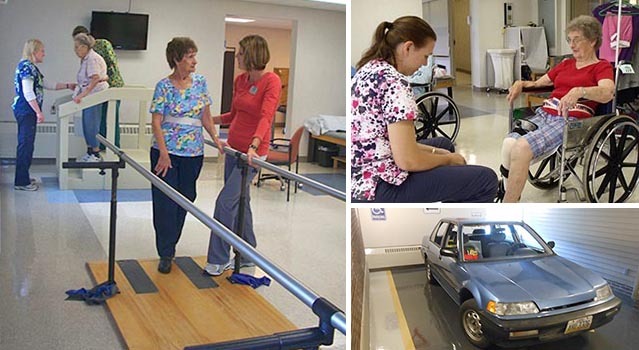 Prior to returning home, our patients also complete the Road to Recovery Program which includes emulating real life situations with the help of our specially designed therapy spaces that include a home-like setting and an actual car to practice getting in and out of a vehicle safely. If you have any questions or would like additional information regarding our rehabilitation services, please don't hesitate to Contact Us. "I spent 3 weeks in your facility for rehab. It was an excellent experience. Everyone I met was professional yet friendly and caring. I would highly recommend you."